Twenty Fourteen was a huge year for me. Even so, “the year 2014” sounds like the setting for a sci-fi story, and some of the events still feel as surreal as an alien invasion. I could easily write 5,000 words about everything that happened, but here’s the Reader’s Digest version. It happened May 3, 2014, but it already seems so long ago. I’ve written a blog about this before, but it was so important. 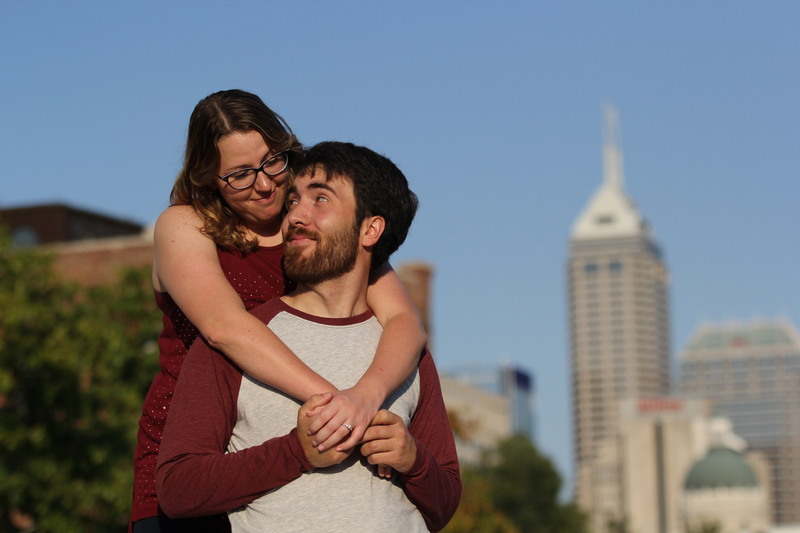 That bachelor’s degree wasn’t easy—or cheap—but it was an incredible experience, and attending UIndy allowed me to meet so many people from different parts of the state, country, and world. 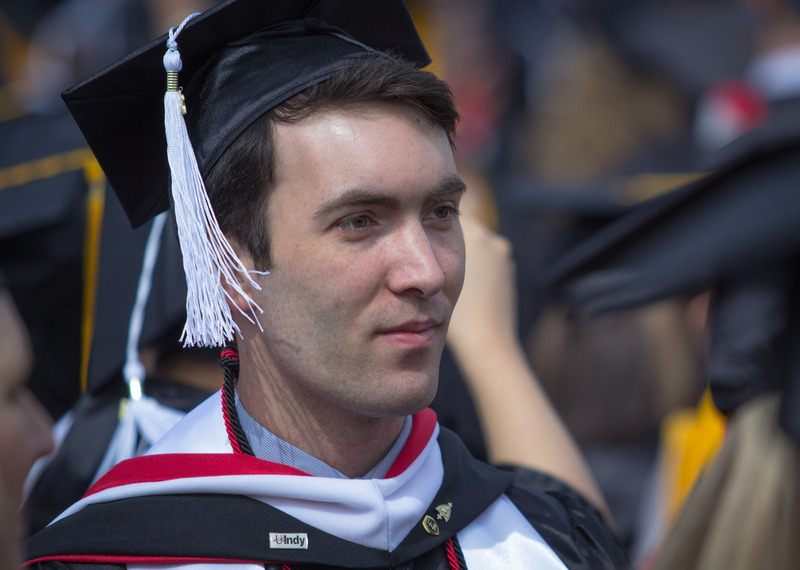 And since we’re on the topic: Thank you to my friend Ben Zhang for taking photos that are ten times better than the ones the graduation photos company wants me to pay for. 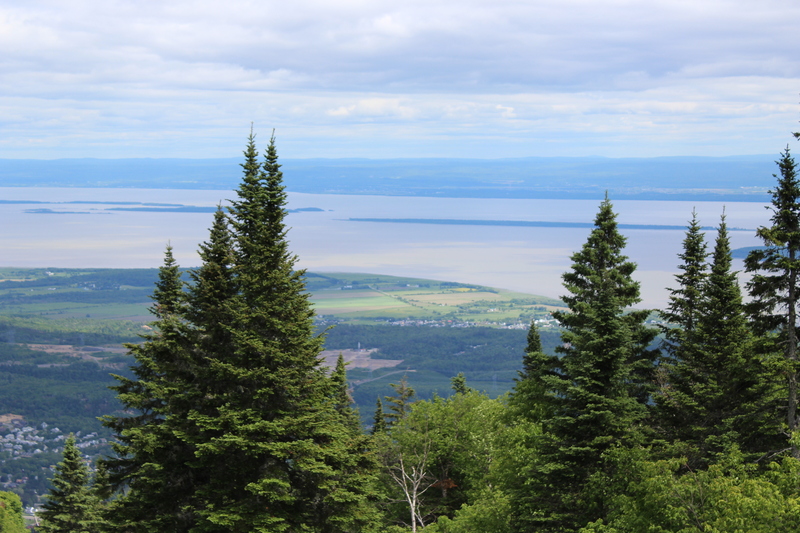 The view from the top of Mont St. Anne was stunning, and I had a French win before we rode the lift back down. Luckily, the man who ran the lift couldn’t (or just wouldn’t) speak English. Most Québecois can, and instead of letting me struggle and butcher their native tongue, they would state, “English is okay.” Don’t take this for granted: Before you travel abroad, brush up on your Tim Horton’s French. That way, even if you’re somewhere out of the ordinary, you won’t be caffeine deprived. More to come about this trip. Like I said about graduation, this feels like it happened so long ago. It’s no longer the honeymoon phase of our engagement. Now we have to send cards and buy clothes and hemorrhage cash to make sure everything comes together. But it’s still an adventure, and we’re still excited. 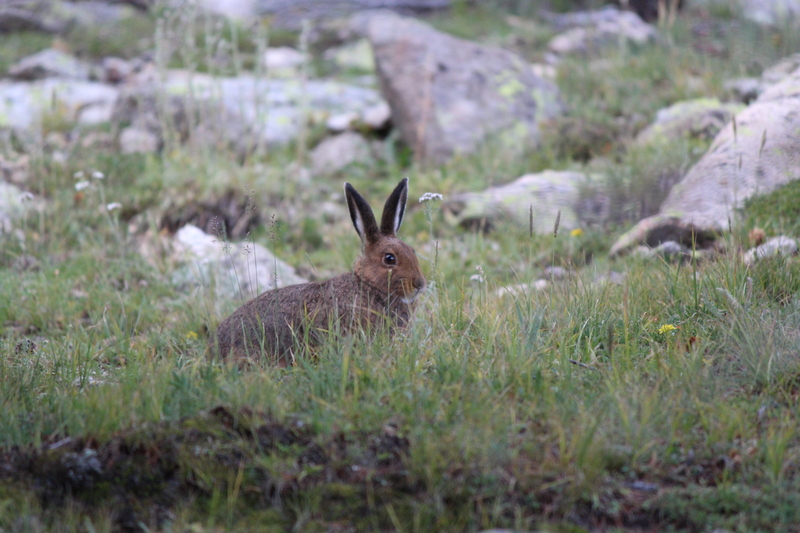 And while we ascended Mount Evans (driving this time), I snapped this photo of a snowshoe hare. Hanging out with Sally and Charlie Allen and their wild offspring was very fun—and always funny. 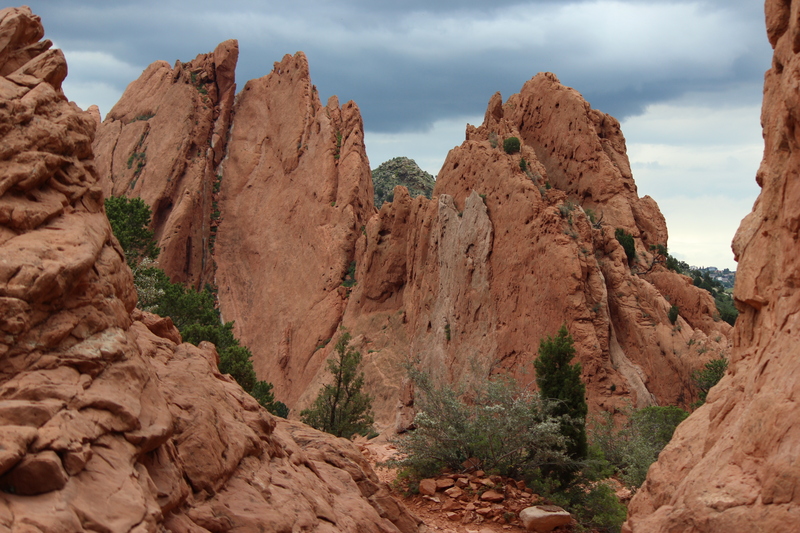 They taught us the right way to eat pizza—squirting on local honey when you get to the crust—and chauffeured us to the Garden of the Gods (below) and other locales. Amy, one of the aforementioned progenies whom I reflexively call Dr. Sekhar, said her dad liked having me and Stephanie there because he got to recycle all his corny jokes. When we drove by a cemetery, he said, “That’s where people are dying to get in.” And so on.